90) Millers defending deep but break allowing Revell to get a shot away, saved well by Rudd, Agard deflects follow up over. SUB 90) Final change for the Millers. Michael O'Connor comes on for third goalscorer Kieran Agard. Rotherham fans on the pitch...game still on. 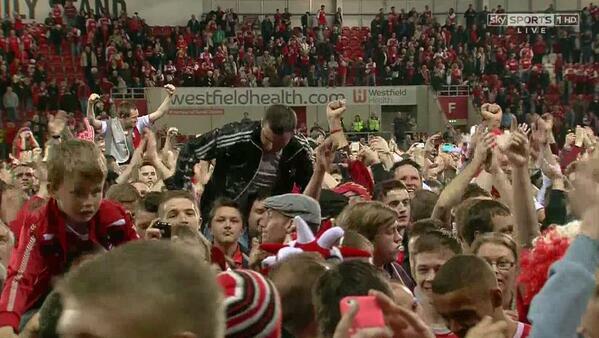 Some @OfficialRUFC fans have already made their way onto the pitch in celebration, but there's still time to play. Steve Evans is furious. FULL TIME: Rotherham United 3 Preston North End 1 (agg 4-2) - the Millers are going to Wembley! Rotherham United will play Leyton Orient in the Sky Bet League 1 Play-Off Final at Wembley on May 25. Start spreading the news.... The Millers are off to Wembley! Congrats to Rotherham!!! At what time is the Wembley final? Chesterfield manager Paul Cook: "It has been a great game. Both managers will be pleased for different reasons; Nigel [Worthington] because they've done really well and Graham [Alexander] because they've rode that little storm." 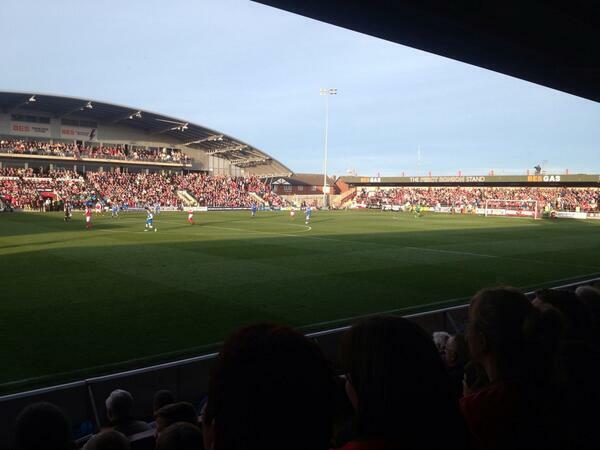 @ftfc This atmosphere is electric. I feel sick! Another half to go. Come on Town!!! Half time at #ycfc vs fleetwood playoff. Would like to say I'm feeling confident, but I'm not. We're off in the second half. Who will become the first #League2 team to book their place in the #PlayOffs Final? 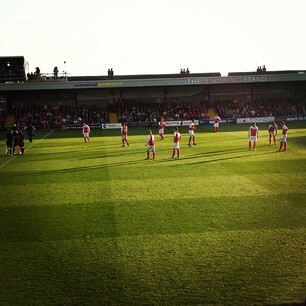 It's 1-0 to @ftfc on agg. York start the second half on the front foot. Fleetwood's Nathan Pond clears away a wonderfully whipped corner. York are certainly turning the screw. Fleetwood now go on the attack and Sarcevic heads over at the near post from a corner. Over an hour on the clock now at Highbury and it's still 0-0. York are back on the front foot and Graham Alexander has decided to make a change; big front man Jon Parkin has replaced Iain Hume. York's Will Hayhurst goes into the book for a late lunge. Striker Ryan Jarvis is set to come on for York. Here's the change; Ryan Bowman off, Ryan Jarvis on. Striker for striker. What. A. Save. Nick Pope denies Antoni Sarcevic low down to his left. Great run and shot from the attacking midfielder but a top save from Pope. Brilliant, brilliant stop from @yorkcityfc goalkeeper Nick Pope. Sarcevic's low effort looks bound for the far corner, but Pope denies him. It's fair to say that Pope save to deny Sarcevic was well-received by all. Super stop. Sarcevic is lucky to not be sent off. On a booking already, he committed a late challenge on Russ Penn. Not a lot of contact but you've seen bookings given for less. The game is really starting to open up as we approach the last 10 minutes. Calvin Andrew fires over the latest chance.